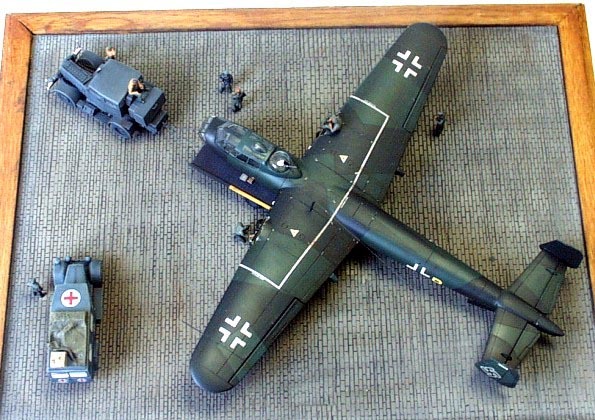 This diorama represents German bomber Do 217 E 4 with dismounted engines and destroyed lading gear and therefore is transported on airport trailer towed by Hanomag SS 100 LN. The Hanomag has open engine because of its engine breakdown. The Phanomen Granit 25 H ambulance just parks here ready to help eventual casualties. Its driver is watching current situation. 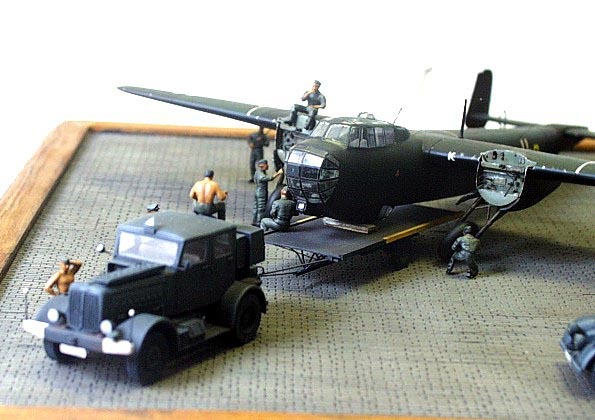 The model of the bomber Do 217 E 4 is conversion of night fighter Do 217 J by Italeri. I added new front bomber cab and upper MG position. Both engines are dismounted and therefore all internal details had to be scratchbuilt. 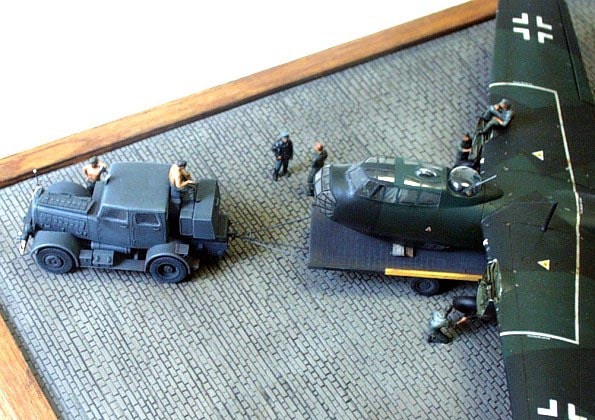 The airport trailer is complete scratchbuilt according to refernce pictures. 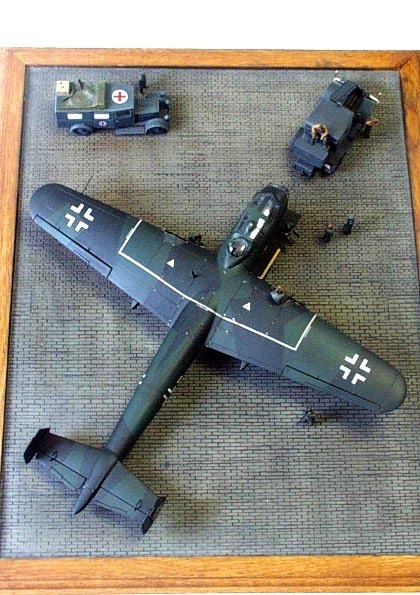 The SS 100 LN is built straight out of JV Models kit I completed it with scratchbuilt engine and few exterior details only. 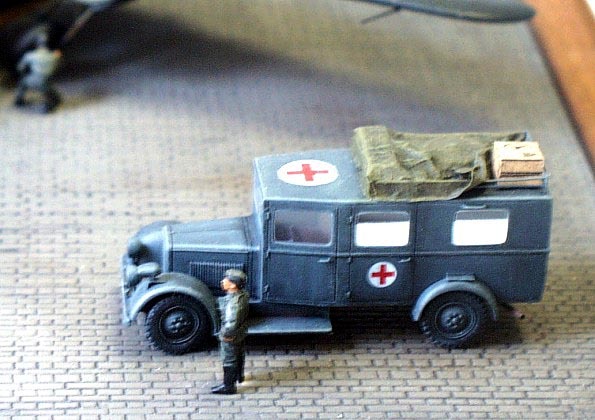 The Phanome Granit ambulance is also built without any bigger modifications out of JV Models kit. I just completed it with new tarp and few exterior details. 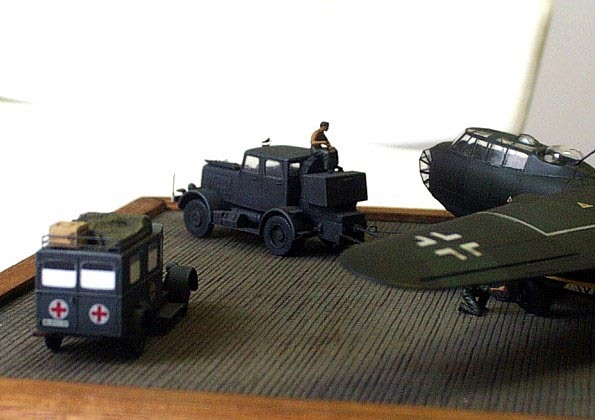 The figures are mixture by various producers and are modified to play required roles in diorama. The blocks of the base are realized with help of such Polish vacuform kit. 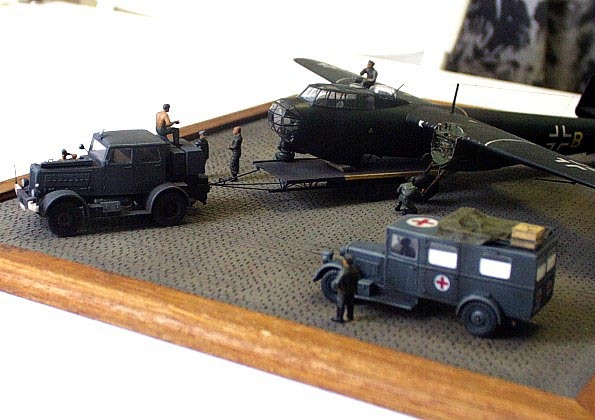 Whole diorama is completed according to true story happened on KG 40 base known from reference pictures.